Have you heard that fossils take millions of years to form? Well, one of our more unusual exhibits at the Genesis Museum of Creation is challenging this assumption, and rather effectively too. Ladies and Gentlemen, introducing Rockie, our fossil teddy! Now then, how do we solve this dilemma? Either T’rex was a wimp who took a teddy to bed with him, which ended up being fossilised with him, OR fossils can form quickly! Rockie was fossilised in the natural petrifying waters of Karlovy Vary, Czech Republic. The water used to spray this object is 100% natural spring water with a high mineral content. The water comes out of the ground at about 72 degrees Celsius. The bear took about two weeks to form in the rock deposit known as Aragonite. It was formed by exactly the same process that is responsible for fossilising the dinosaur bones found in America and other places around the world. Though dinosaur bones are commonly thought to have “turned to stone” The original bone is still there. Most of the early geologists believed that the Earth is young and that most of the fossils were formed 4,500 years ago during Noah’s flood. A lot of people today have, however, been indoctrinated in the idea that the earth is billions of years old, and that fossils take vast periods of time to form. They, therefore, reject the Biblical history of Creation and the Flood. This teddy bear demonstrates that fossilisation does NOT require millions of years, it just requires the right chemical and physical conditions. You can trust the Bible! Next Next post: Buried Alive!! Crocodiles found in phosphate give evidence to the Biblical Flood. I really applaud this single-minded search for God’s truth. However, it’s important, I think, to respect this truth at every twist of the road. So maybe you could correct the statement that implies fossils are formed in the same way as the teddy bear. The fossils of mammals do not contain any of the original bone: this is replaced by a form of crystal. 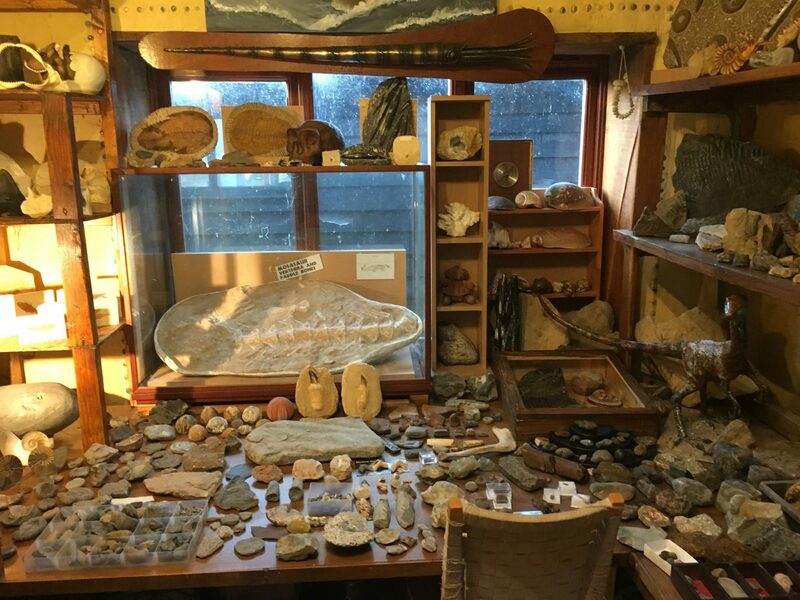 Ask any geologist – or indeed, anyone who has collected fossils from a beach. Hi Tim. Thank you for your concern. I apologise if I did not clarify myself very well. It is true that in many cases the organism’s remains are turned into stone or fossilised. 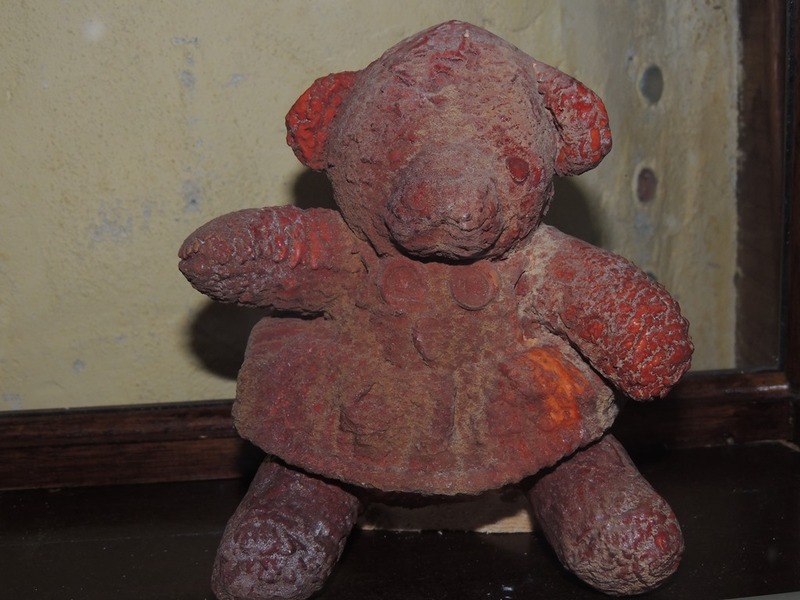 Our teddy bear is not technically “Fossilised” (using the correct definition of fossilised), but rather petrified or per-mineralised. Many people do not realise, but the fossils of dinosaurs that are found in places such as America and the UK are not actually “turned to stone” but rather “in-filled with stone”. This shows that fossilization has more to do with process rather than time. Fossils do not need millions of years to form, just the right chemical and physical conditions. You can trust the Bible! God Bless – Joseph, editor. Genesis Museum of Creation Research Fossil teddy bear!?! ?